College Student Walked 20 Miles For First Day Of Work And Got A Surprise! 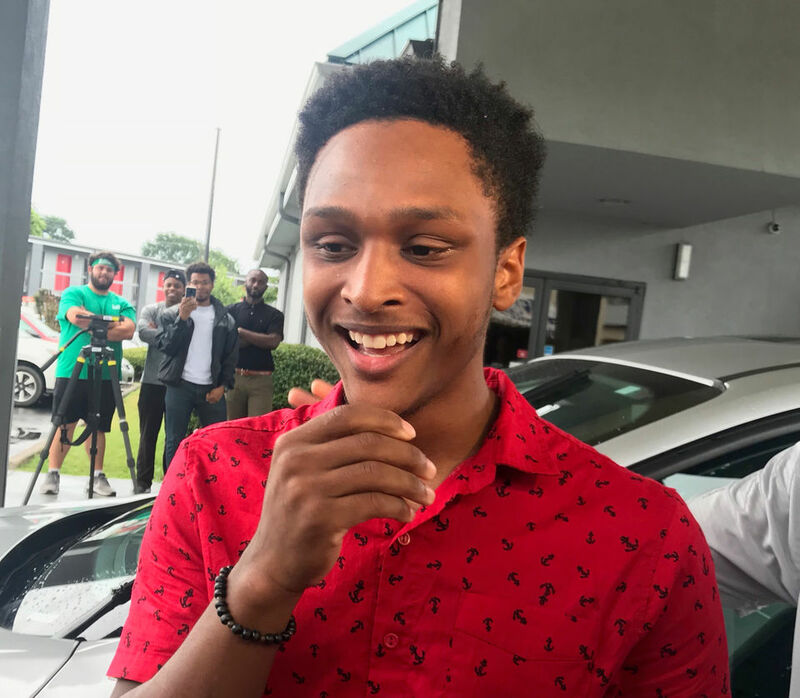 When a young Birmingham college student’s car broke down the night before he was supposed to start a new job, he didn’t panic. At least not for long. Instead, Walter Carr walked. From Homewood to Pelham. All night. In the dark. 20 miles or more. A Carver High School graduate and U.S. Marine hopeful, Carr walked throughout the early morning hours Friday because he needed, and wanted, the job with Bellhops moving company. He made it to Hoover by 2 a.m. and then to Pelham at 4 a.m. It was in Pelham that the trek took a surprising turn. Kindness and concern from four Pelham police officers coupled with publicly-posted words of amazement and admiration from the moving company’s clients about Carr’s work ethic and dedication, led to a massive pat on the back Monday from Bellhops CEO Luke Marklin. Marklin drove in from Tennessee under the guise of meeting Carr for coffee to personally thank him. That meeting ended with Marklin surprising Carr by giving Carr his own barely-driven 2014 Ford Escape. 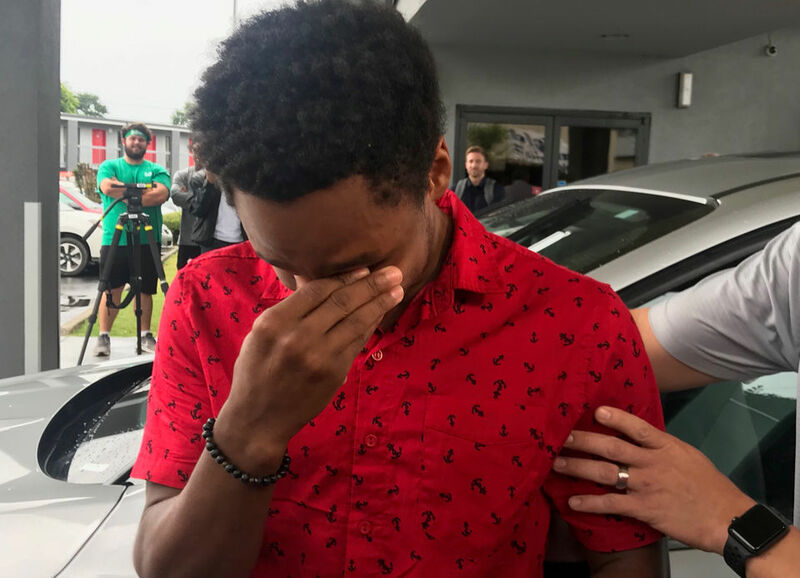 Walter Carr is overcome with emotion as he realizes the gift of the car.